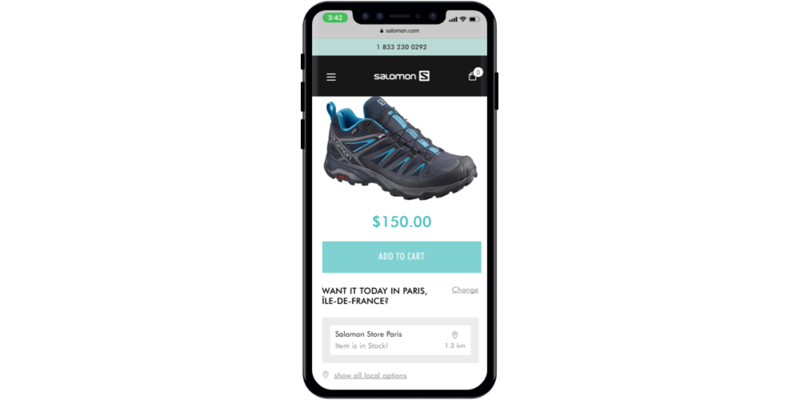 In partnership with brands like Arc’teryx, Brooks Running, Salomon, Atomic, and Elan Skis, Locally is launching into the influential European market to promote in-stock product availability for online shoppers. Local shoppers can expect to find their favorite products, in-stock at nearby retailers, directly from the brand’s websites. Keep an eye out for new brands and retailers coming online in countries like Italy, Spain, France, Germany, Austria, Switzerland, Belgium, Netherlands, and many more. Residents of Madrid can browse the entire in-stock Arc’teryx inventory of their local Barrabes stores, right from Arc’teryx’s site. German joggers can rest easy knowing they can reserve the new Adrenaline GTS 19 at Active Laufshop in Münster. 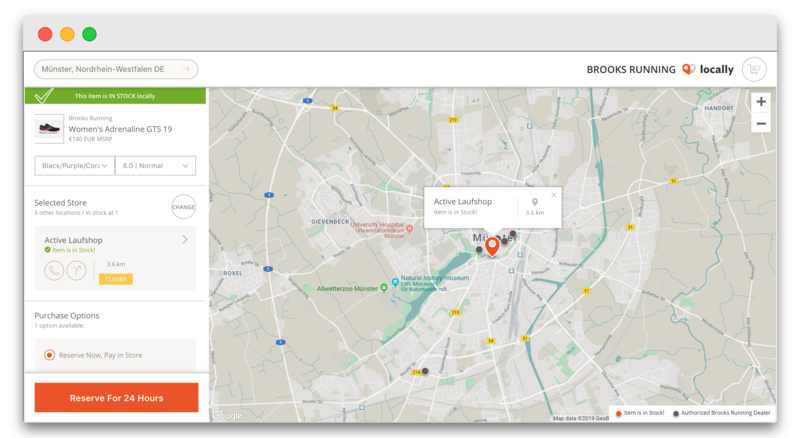 Locally’s Buy It Locally tool for retailers is a powerful way to pull shoppers directly from a brand’s website to your storefront in one seamless, fluid experience. Alpine enthusiasts will be delighted to browse the Chamonix brand store for a curated selection of their premium alpine products on one of Arc’teryx’s new and powerful Shop-In-Shop store pages.